It would appear that this change is also going live for users on the stable channel, which makes it seem like this was a server-side switch. 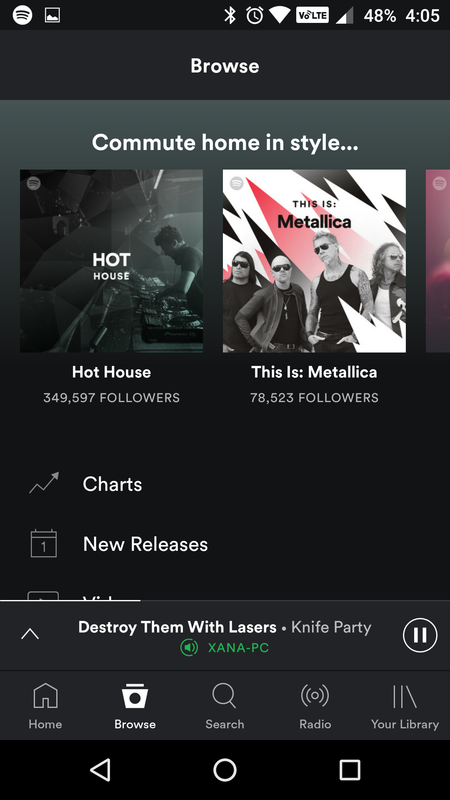 I am certainly not the first to say it, but I do not like the bottom navigation bar thing. Perhaps because I have been trained to like the slide-out navigation in my years of using Android. Who knows. Regardless, it is a trend and we are seeing more apps toying with the idea. 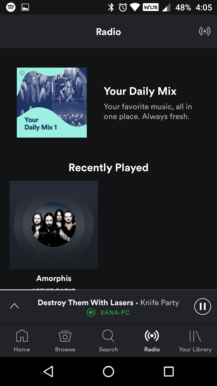 A few months ago, the Spotify beta app introduced this change. You had five tabs with which to navigate and that was that. 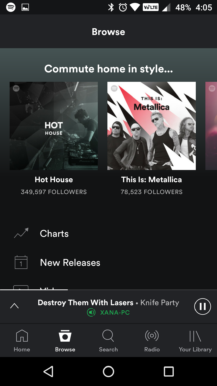 A little bit after that update, the bottom bar disappeared. But in the most recent beta, it's back and redesigned. 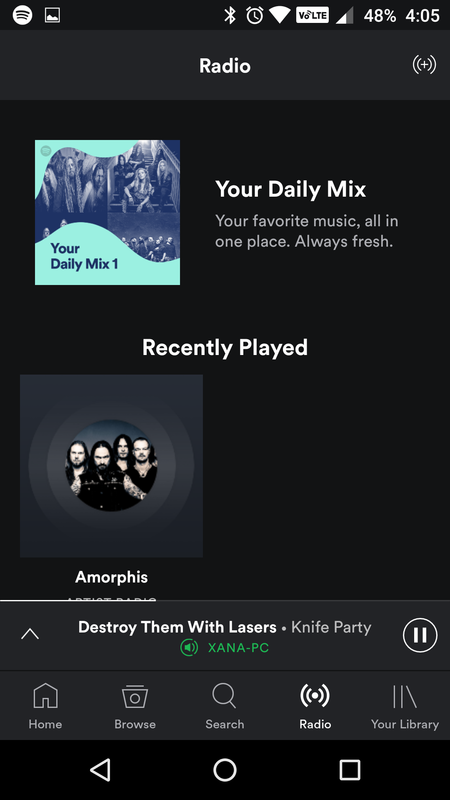 Even though I do not like it in any app, I have to admit that I like the look that Spotify has opted for here on this one. Besides the icons being different, white is now the accent color instead of the green from before (thankfully). The five tabs are still the same: Home, Browse, Search, Radio, and Library. 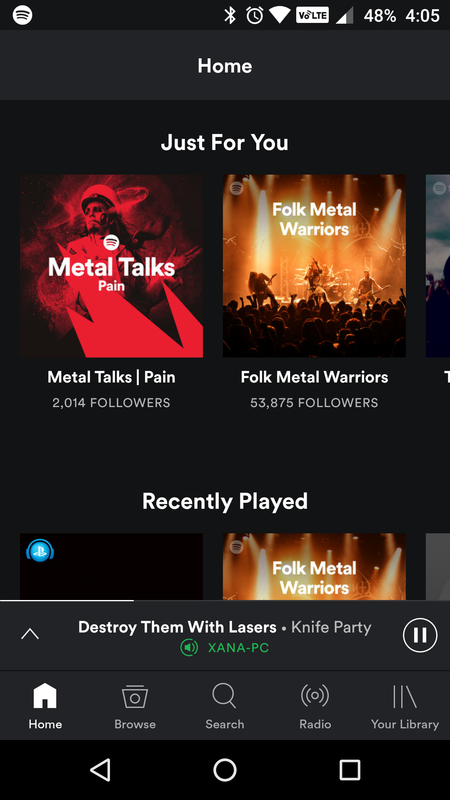 As expected, this presence of the bottom navigation pushes the now playing bar up. 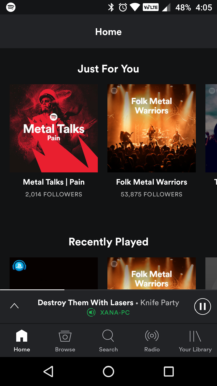 I do not use Spotify enough to have the muscle memory to hit the pause button without thought, but I can see that being an issue for some. If you are not in the beta, be sure you go download the latest version from APKMirror.